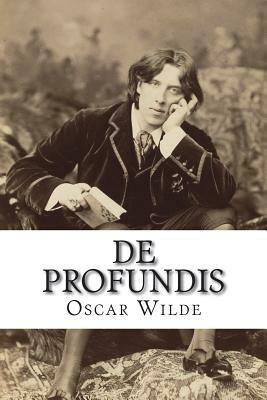 De Profundis Oscar Wilde The gods had given me almost everything. But I let myself be lured into long spells of senseless and sensual ease. I amused myself with being a fl neur, a dandy, a man of fashion. I surrounded myself with the smaller natures and the meaner minds. I became the spendthrift of my own genius, and to waste an eternal youth gave me a curious joy. Tired of being on the heights, I deliberately went to the depths in the search for new sensation. What the paradox was to me in the sphere of thought, perversity became to me in the sphere of passion. Desire, at the end, was a malady, or a madness, or both. I grew careless of the lives of others. I took pleasure where it pleased me, and passed on. I forgot that every little action of the common day makes or unmakes character, and that therefore what one has done in the secret chamber one has some day to cry aloud on the housetop. I ceased to be lord over myself. I was no longer the captain of my soul, and did not know it. I allowed pleasure to dominate me. I ended in horrible disgrace. There is only one thing for me now, absolute humility... We are delighted to publish this classic book as part of our extensive Classic Library collection. Many of the books in our collection have been out of print for decades, and therefore have not been accessible to the general public. The aim of our publishing program is to facilitate rapid access to this vast reservoir of literature, and our view is that this is a significant literary work, which deserves to be brought back into print after many decades. The contents of the vast majority of titles in the Classic Library have been scanned from the original works. To ensure a high quality product, each title has been meticulously hand curated by our staff. Our philosophy has been guided by a desire to provide the reader with a book that is as close as possible to ownership of the original work. We hope that you will enjoy this wonderful classic work, and that for you it becomes an enriching experience.